The narrator of Wolfe’s poignant novel is nameless, for this detail was never historically recorded. A poor young woman from Rome’s African provinces, she willingly becomes the concubine of the man she adores, a scholar with an auspicious future. The two remain faithful to one another, raising a beloved son, and stay together until her presence becomes an obstacle to his career advancement. He goes on to acquire fame as Augustine of Hippo, early Christian theologian and future saint. His biography is well known, but what burdens did his lover endure? Her imagined story of romance, loss, and courageous sacrifice begins in 4th-century Carthage, a city of many gods ruled by a distant Christian emperor. The daughter of an itinerant mosaic-layer, she and Augustine share a special bond, but her humble birth means they can never marry. The secondary characters are equally well-crafted, especially Augustine’s mother, Monica, a kind, practical woman who abhors her son’s early Manichean beliefs. The central couple’s moment of parting is almost unbearably sorrowful, though the heroine, who cares too much to hold Augustine back, sees no other choice: “For us to love without measure is not enough. The world has a measure. It has weighed us in the scales and found us light.” What she accomplishes in her remaining years is a testament to women’s strength. The richly descriptive writing involves all five senses in its evocation of the ancient Roman world: the glint of sunlight on a church floor, the gentle clink of tiles, the delicate scent of lemons at the market. Moving beyond this, it harnesses literature’s power to create soaring imagery conveying universal truths. Her story will break your heart several times over, but in Wolfe’s telling, it’s also intensely beautiful. More than a well-researched novel that humanizes its real-life characters, this is a poetic work of art. 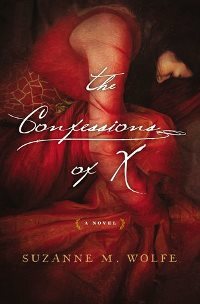 The Confessions of X was published in 2016 by Thomas Nelson ($15.99, pb, 304pp). 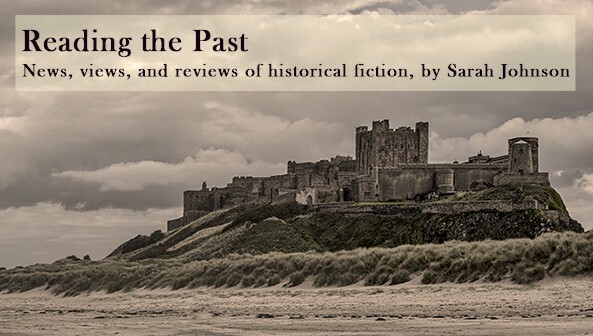 This review was first published in August's Historical Novels Review. I hadn't heard of the novel until receiving an email from one of the lists I'm on for discounted ebooks. I promptly bought it and got caught up in the language and story right away. Thomas Nelson is a Christian-focused publisher, and St. Augustine is a famous figure in the history of Christianity, but the tone of the book isn't religious. Back in 2013, I'd done an analysis of the centuries which were most popular in contemporary historical fiction (which looked at titles reviewed in the HNR over the previous year). The figures showed that the 4th century had been essentially neglected. Out of the over 14,000 books reviewed in the HNS database, just 27 are set in the 4th century. Sounds interesting - and the list that you linked of the 27 set in the 4th century is too. Not having any timeline facts in mind for that far ago, it's hard to set the books in context. I found a timeline over at Wikipedia - the events of the 4th century don't seem the type that historical novels generally are written about. Thanks - looks like Constantine is a big name back then. Interesting!